Some things to look for in you Youngstown home that may indicate foundation damage: cracked drywall, sticking windows and doors, lopsided or out-of-place windows and doors, or sloping floors. These can all be signs of foundation damage, which can be costly and troublesome. Also, look for cracks in the basement floor, ceiling, or walls. They can also signal foundation damage or that you have a wet basement that needs to be waterproofed. If you find such signs of foundation damage, we will be able to help you with a variety of solutions. Your Youngstown home is an investment and something you truly care about. We understand that and we want to make it as safe and stable as we can. 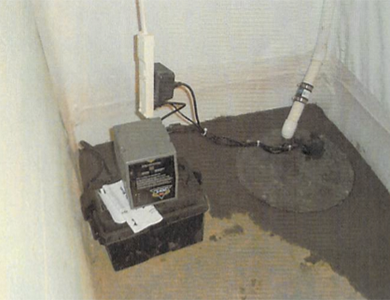 Wet basements can be a huge hassle, but if you find you have such a problem, we can help. By installing a drainage system, we can take care of the existing water. If you want to protect your home from flooding and leaking, we can install both interior and exterior waterproofing methods to protect your Youngstown home. With our 6 months same as cash financing program, you won’t even have to worry about the financial side of the project. We will work with you so that financing your repairs is not a problem. We understand that these types of issues can come out of nowhere, so you may not have budgeted for them. Because of this, we are willing to give you some time to pay for your repairs and waterproofing. Contact our finance team if you have any questions regarding the monetary side of your project. We are proud to offer you the Earth Contact Products (ECP) wall anchor system. Wall anchors are a great way to stabilize foundation walls without the cost and disruption of foundation replacement. ECP provides the best products on the market and they are made in the USA. Cracks can cause leakage and water damage to your basement, which can lead to mold and mildew growth. Not only is this a health hazard, but it can damage the value of your home. But not to worry, Matthews Wall Anchor & Waterproofing Services is your go-to for crawl space repair in Youngstown. Whether you are in need of foundation and crawl space repair or waterproofing, we are the trusted name in Youngstown, OH for these kinds of repairs. Contact us today to learn more about how we can keep your home dry, safe, and stable. We look forward to providing you with a free estimate and helping restore your home’s value and stability.